lamb roasts in the outdoor covered barbecue. AS long-time traditionalists who found it hard coming to grips with the idea of ditching the hot turkey at Christmas in favour of cold seafoods and salads, we're now finding it even more challenging seeing growing numbers going back to "hot" – but in the form of roasts done outdoors on Aussie Christmas Days in covered barbecues. Quite a number of neighbours, friends and even relatives have told us they're doing "slow cooked" barbecue-oven roasts this year – beef butts, lamb legs or shoulders, racks, or even piles of shanks – so those who normally sweat it out in the kitchen, can spend more time enjoying the company of guests outdoors near the ice-box. And when some of these "new age" types asked if we could suggest a good wine to go with their outdoor beef or lamb and accompanying hot-baked trimmings, we suggested splurging a little with a Voyager Estate Margaret River 2010 Cabernet Sauvignon Merlot – that would match perfectly with both the beef and the lamb. Not the cheapest at $70, it is, however, an outstanding drop made from fruit off three exceptional vineyards mainly planted back in the mid-1990s (and some earlier still in 1978,) with wonderful fruit purity on the palate, and a richness and freshness they'll certainly find hard to beat with those beef or lamb choices. Christmas Day honey-baked ham or seafoods. ONE TO NOTE: THE Hunter Valley's Andrew Margan, on the other hand, is a traditionalist planning on matching this year's family honey-baked ham on Christmas Day with his 2014 Margan Chardonnay, a very rewarding drop at a nicely-priced $18 for those of us to whom Chardonnay will always remain a favourite tipple. 2014 was particular good for Chardonnay in the Hunter, and this one is a great buy-now, drink-now wine that'll reward at the Festive table with lovely aromas of white stone fruit, grapefruit and some oaky creaminess that all follow through nicely on the palate… ideal with Andrew's honey-baked ham idea, and equally so if you – like us – are opting for cold seafoods and salads for this year's family celebrations. Or if you're doing roast turkey, match it with Andrew's 2013 Margan Shiraz; at $22 its peppery notes will match perfectly the turkey's white and dark meats with a herbed stuffing. gift for family or friends with whatever interest in wine. YOU don't have to be a Tasmanian to enjoy a fascinating insight into the State's wine industry in Vintage Tasmania, the Complete Book of Tasmanian Wine – an engrossing 280-page true-to-title work you'll find hard to put down with its wealth of fascinating facts past, present and future. And if you've a visit to the State in mind, it's a great guide, too, to its Wine Routes. Written by local wine writer and historian, Tony Walker this is a book to enjoy your-self – or to give at Christmas to family or friends with any degree of interest in wine. Beautifully illustrated, it covers everything from the first wine grape plantings in 1823 to the demise of the fledgling industry, its revival by (remarkably) a Frenchman, Jean Miguet and an Italian, Claudio Alcorso in the 1950s and how, despite this, its first commercial-size vineyards not coming into production for another 20 years in 1974. 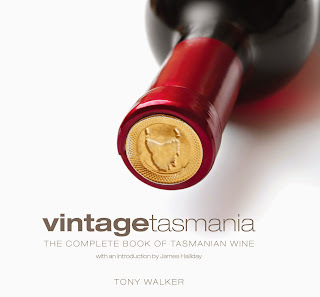 Tony points out how historically Tasmania was unknown territory for viticulture, with all Australian research based on warmer climates – and now how, as James Halliday says in the book's introduction, its future has "virtually unlimited potential." Paying tribute to those who did the hard yards by often trial and error, it's also a rewardingly insightful guide to the State's now more-than 50 vineyards. ideal as an aperitif to set the mood, or throughout any Festive meal. ONE TO NOTE: A WONDERFULLY crispy dry bubbly for Christmas celebrations is Logan Wines' Vintage 'M' Cuvee made from fruit off the north-facing slopes of Mount Canobolas at Orange in NSW's Central Ranges – at 930m above sea-level one of the highest and coolest grape-growing regions in the State, and thus ideal for the growing of fruit that makes for the most marvellous of premium sparkling wine. Winemaker Peter Logan has created a drop that's equally ideal as an aperitif before a meal, or throughout the entire meal itself, no matter what you've got on the table. Pay $35 for the just-released 2011 and say "Happy Christmas" with family or friends. We're also on Australian Good Food Guide http://www.agfg.com.au in main blog. in this country, and ideal with a seafood salad. A REAL CHALLENGE, OR MID-LIFE CRISIS? WHEN the Clare Valley's Tim Adams decided to plant somewhat new and unproven at the time Pinot Gris ten years ago, he reckons he did so simply for the challenge of seeing just how well this variety would go. His wife Pam, their company's General Manager, had a different view: she suggested (we think tongue in cheek) that Tim was going through a mid-life crisis. 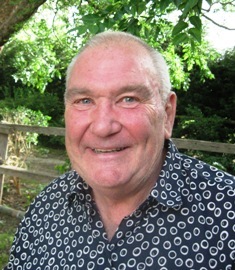 But she supported his venture – and persistence – and today Tim Adams Pinot Gris is one of the top-selling premium Pinot Gris in this country, playing a major role in driving the varietal's constant sales growth across Australia. Tim says those first plantings a decade ago were the result of drinking a great Alsace Pinot Gris with an old mate, and thinking how well the variety may go on some specific Clare Valley sites. He's not looked back, and today uses fruit in his Tim Adams Pinot Gris from his own vineyards and those of contract local growers. His latest release, 2014 is loaded with hearty fruit characters (think pear, lychee and peach complemented with a subtle citrus zest and fruit sweetness,) and cleansing acidity. Pay $20 and particularly enjoy with seafood salads over our warmer months. with tomato based pasta dishes. 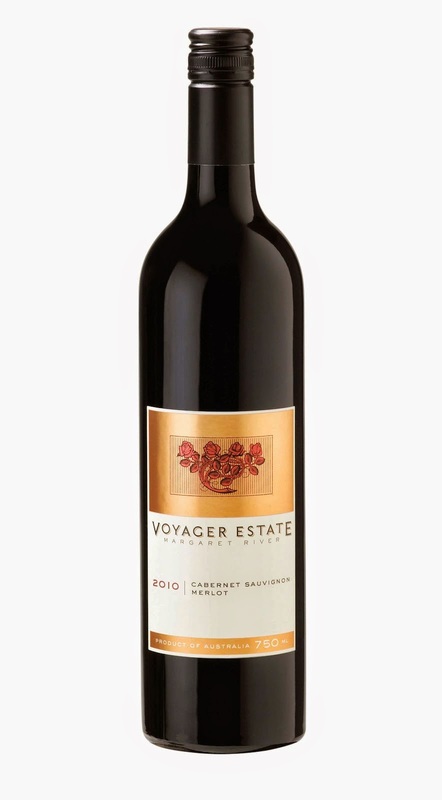 Now one of the district's more-renowned producers of quality wines, Shaw has just released a 2012 Winemakers Selection Cabernet Merlot that's a real mouth-filler of fresh berry flavours and delightful aromas from the glass of cassis and dark plums. Fruit came off the family-owned company's low-yielding vines that were picked in the cool of night for optimum fruit quality; pay a well-priced $16 and enjoy with tomato based pasta dishes, or simply a good steak.